The Lexplay Hearthstone tournament will be a Standard format event. This means that the challenges will be in standard playing format and all cards illegal in standard format are banned. All games are to be played on the Americas server. Make sure that you have at least one available friend slot on your account to add competitors in each round. This will be a single elimination conquest event. During registration each player will choose three classes. At the start of a round both players will announce their classes to their opponent and ban one of their opponent’s classes. With the remaining two classes players will play a best-of-three match. If you win with a deck you cannot play with that deck again. If you win with both of your decks you are the match winner and you advance to the next round. If you lose twice using any deck you are eliminated from the tournament. You must use the same decks and classes every round. Anyone caught violating any rules of the event will be removed from the tournament by the tournament director. Please make sure to report all results (even negative results) to tournament staff. Interested in participating in the Hearthstone tournament? Entry to the tournament is free with LexPlay admission. We are pleased to announce a partnership with the Lexington Public Library. All proceeds from the gaming and speedrunning marathon at LexPlay will go towards the Lexington Public Library. We’ve been really excited about working with the Lexington Public Library. The library is doing a lot of digital media outreach, including their Northside Branch Digital Studio. We look forward to working with them in the future on more education and gaming initiatives. So what is actually going to the library? All of the money raised, 100% of the proceeds from the gaming and speedrunning marathon will go to the Lexington Public Library. If you donate on the livestream or in person, that money is going straight from out event to the library. Which is pretty swell. Interested in participating in the marathon, either by playing a game or giving technical assistance? There’s more information about how you can contribute here, and for certain levels of involvement you can come to LexPlay for free. Tickets for LexPlay are currently live and available on Eventbrite. Do you have something to say about games? We here at LexPlay are excited to announce that there are spaces open in our convention line-up for panels! Do you have something interesting to say about video games? Want to lead a discussion about board games? Have a podcast you’d like to record live on stage at LexPlay? We’re interested in talking to you. Panel slots are limited and are for hour long panels — this does include the time it will take you to take down and reset, so please keep that in mind when submitting panels. Due to our audience, all talks must be related to games and also acceptable for all ages. Tickets for LexPlay are available on EventBrite. Hey folks! The LexPlay Cosplay department has given us a pretty sweet list of basic rules and regulations for the masquerade at the upcoming event. All cosplays in any category must be 75% handmade. Bought/commissioned costumes are not eligible to compete unless the creator is present for judging. Entrants will be assigned a 5-minute time slot to tell the judges everything there is to show and tell about their cosplay—think about what you’re going to say before you get to judging! If you miss your time slot, you may reschedule it if there are any later times available, but this isn’t guaranteed! This contest is family friendly-if you can’t wear it to the pool, you can’t wear it at LexPlay. We will judge on craftsmanship, presentation, likeness, and attention to detail, using a scale of 1-10 in each area. Cosplaying characters from video games and other media often involves weaponry, but we have some policies in place to keep the event safe and secure. All guns must have orange tips, no magazines loaded, and with their triggers peace tied. If you have any questions, be sure and reach out to lexplay@runjumpdev.org so that we can answer them! And something to keep in mind for LexPlay as well as the cosplay event in specific, all state, local, and federal laws remain in full effect. If you can’t do it on the street, then you can’t do it in the convention. As stated before, this is a family friendly event, so please don’t show anything you wouldn’t show to your pearl-clutching grandma and your baby cousin. This is paraphrased from a post on the Speed Demos Archive post by the lead on our speedrunning marathon, Jarrett (Tterraj42). At the end of October, RunJumpDev will be hosting their first Game Convention: LexPlay. The organizers want to have a speedrun marathon at the event, and they’re letting me organize it. First off, it’s an in person event, so make sure you can attend in person before signing up. It will be at the Lexington Center, on October 28-29 in Lexington, KY.
LexPlay will run for 7 hours on Friday (5PM-midnight) and 15 hours on Saturday (9am-midnight), for a total of 22 hours. No overnight, so no graveyard runs and we all get to sleep. Another big announcement! I’ve taken on the head of cosplay position for a brand new convention this October!! LexPlay: Lexington Gaming Convention is a two-day video game convention byRunJumpDev, a local game development non-profit based in Lexington. LexPlay, the largest video game convention in Central Kentucky, will be playing host to a League of Legends 2016 World Championship watch site for the finals, which will be broadcast from the Staples Center in Los Angeles. Unable to make it out to LA to watch your favorite teams battle it out for Worlds? 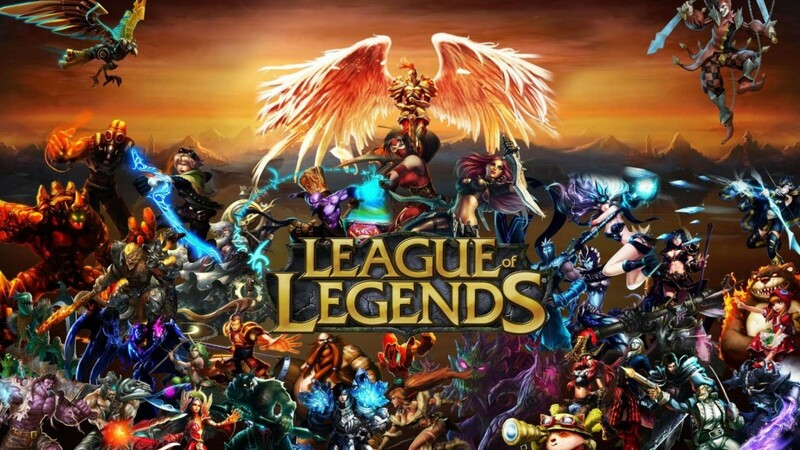 Why not come to LexPlay and participate in lots of gaming awesomeness as well as watch Worlds with your fellow League of Legends fans? This is just one of the many LoL themed events that we’re hoping to run during LexPlay! Super excited about a League of Legends watch site? Why not pick up your tickets today for LexPlay today and get in on the action!